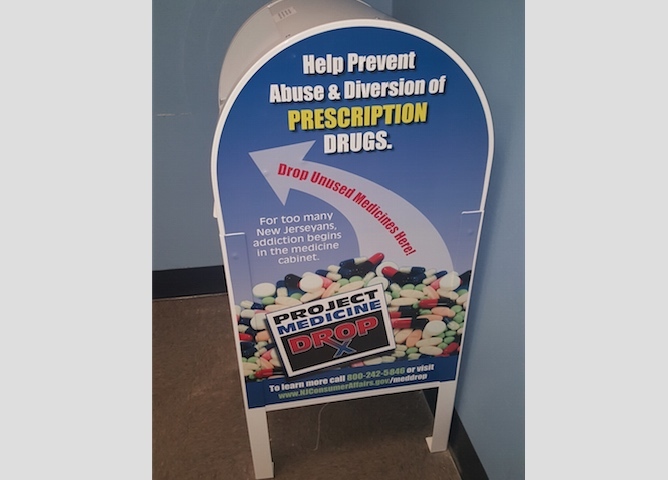 UNION CITY — Mayor Brian P. Stack, the Board of Commissioners and Police Chief Richard Molinari today announced that it has joined the New Jersey Attorney General’s “Project Medicine Drop” initiative, and has installed a Project Medicine Drop box at police headquarters. Today’s announcement makes it easier and more convenient than ever for Union City residents to take an active role in the fight against the nationwide epidemic of opiate and heroin abuse, which often is fueled by the abuse of prescription painkillers. “Project Medicine Drop is an addition to our commitment to help improve the public safety and quality of life in Union City. It will encourage our residents to be fully aware of the potential for abuse presented by otherwise beneficial medications,” Police Chief Richard Molinari said. The U. C. P.D.’s new Project Medicine Drop Box is located at 3715 Palisade Ave., on the 36th Street side of City Hall. Residents may visit the Union city.Police Department at any time, 24 hours a day, seven days a week, 365 days a year, to dispose of their unused or excess medications. The department also has a portable Project Medicine Drop Box that will be deployed during community meetings scheduled throughout the city. Project Medicine Drop is an important component of the New Jersey Attorney General’s effort to stop the diversion and abuse of prescription drugs, including highly addictive opiate painkillers. Through this initiative, the State Division of Consumer Affairs installs secure “prescription drug drop boxes” at police departments, sheriff’s offices, and State Police barracks across New Jersey, allowing citizens to safely dispose of their unused, excess, or expired prescription medications. Members of the public are invited to visit the Project Medicine Drop sites and drop off any unused prescription medications anonymously and with no questions asked. Most Project Medicine Drop sites make this service available 24 hours a day, seven days a week, 365 days a year. By giving New Jerseyans a safe and secure method to dispose of unneeded medications, Project Medicine Drop helps prevent the abuse of these drugs. This initiative also protects New Jersey’s environment by keeping these drugs out of landfills and out of the water supply. More information about Project Medicine Drop, including the full list of Project Medicine Drop locations, can be found at www.NJConsumerAffairs.gov/meddrop.